137 Commercial Real Estate and Properties in Sunshine Coast are listed in 9 categories. We have 233 Offices for Lease , 217 Retail Shops for Lease , 192 Industrial Warehouses for Lease , 14 Medical and Consulting Properties for Lease , 8 Development Lands for Lease and 4 Showrooms for Lease . 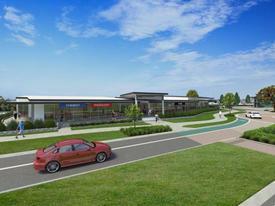 An opportunity exists to be a part of this bustling retail strip in Tewantin. Surrounded by a strong local population as well as local schools and retirement communities, the centre has a reputation for quality retailers. 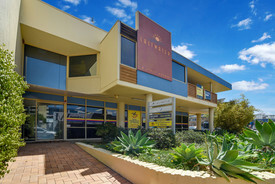 + 67sq m (approx) ground floor tenancy + Open plan layout with front and side access + Suit retail / medical / professional office use + Located at front of busy neighbourhood Shopping Centre, Noosa Outlook + Large customer car park + Other complex tenants include IGA, BWS, butcher, bakery, pharmacy, cafe, medical centre, solicitors and more + Can be combined with adjacent tenancy to make 165sq m (approx) Call or email David Brinkley or Louisa Blennerhassett to inspect the property or find out about other suitable options. Our team is strategically located in two offices across the Sunshine Coast region and is ready to handle your commercial, industrial and retail property needs today so call or email now. An opportunity exists to be a part of this bustling retail strip in Tewantin. Surrounded by a strong local population as well as local schools and retirement communities, the centre has a reputation for quality retailers. 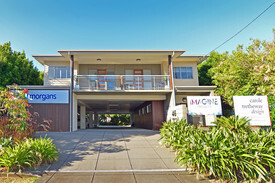 + 99sq m (approx) ground floor tenancy + Open plan layout with front and side access + Suit retail / medical / professional office use + Located at front of busy neighbourhood Shopping Centre, Noosa Outlook + Large customer car park + Other complex tenants include IGA, BWS, butcher, bakery, pharmacy, cafe, medical centre, solicitors and more + Can be combined with adjacent tenancy to make 165sq m (approx) Call or email David Brinkley or Louisa Blennerhassett to inspect the property or find out about other suitable options. Our team is strategically located in two offices across the Sunshine Coast region and is ready to handle your commercial, industrial and retail property needs today so call or email now. Emily Pendleton from Ray White Commercial Northern Corridor Group is pleased to present to market for lease, the entire or part of the first floor at 8 First Avenue, Maroochydore. For the first time in a number of years, the opportunity to exists to secure either the entire or part of this large corporate office suite in the heart of the Maroochydore CBD, location next to the old court house and opposite the bridge to Duporth Avenue in walking distance to the court house, banks, post office, Sunshine Plaza and the booming little Ocean Street precinct. Only footsteps away from the new Maroochydore CBD you cannot simply go past this property. It boasts: From 88m2 to 364m2 available within a number of layouts A well presented and functional fit out consisting of 11 separate offices, 2 large open plan areas, boardroom facilities, large reception area, kitchen and private amenities with a huge balcony with glimpses of the water The landlord is flexible around fit out arrangements and happy to modify what is there Located in a prime position central to court house, council chambers banks, post office and new Maroochydore CBD 6 exclusive, secure onsite car parks at the rear Ample street and council car parking surrounding Excellent signage opportunities Contact exclusive marketing agent Emily Pendleton to discuss the endless opportunities this property has to offer your business! 48m2 Ground floor with good signage exposure Ample onsite car parking with 3 exclusive parks Directly opposite the beach, walking distance to the surf life saving flags Kitchenette Recently painted and re carpeted Located on the corner of Katoa St Alexandra Parade Approximately 48m2 is available for lease on the ground floor of 126 Alexandra Parade, an exquisite architecturally designed building. The tenancy consists of reception, open plan area, 1 office, kitchenette and ducted air conditioning. The fitout can be changed to suit your business. There are 3 car parking spaces which are shared with one other tenancy in the complex. The building boasts excellent signage exposure and is waiting for the perfect new tenant. Contact marketing agents for further information or to arrange an inspection! Picture your business in the bustling professional and medical centre of Mountain Creek. 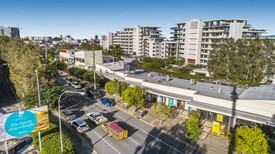 With excellent street exposure and signage, neighbouring tenants include The Hub Dental, QML Pathology, Mountain Creek Medical Centre and several other specialist service providers. + 62sq m (approx) open plan with kitchenette + Located in Mountain Creek Professional Centre + Air conditioned and carpeted + Plenty of on site parking + Available now Call or email David C Smith or Tallon Pamenter to inspect the property or find out about other suitable options. Our team is strategically located in two offices across the Sunshine Coast region and is ready to handle your commercial, industrial and retail property needs today so call or email now. 83m2 Perfect for Allied Health Currently fitted out with medical grade flooring and walls suitable for radiology, plumbing and sinks to all 3 treatment rooms, large reception/waiting room area and sterile room Directly opposite Sunshine Plaza Four exclusive onsite car parks Onsite amenities Located in the heart of the new Maroochydore CBD 'Sun Central' Emily Pendleton of Ray White Commercial Northern Corridor Group is pleased to present for lease approx. 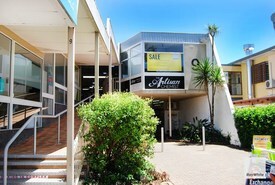 83m2 of ground floor retail directly opposite the Sunshine Plaza which is currently undergoing a major redevelopment to introduce further major retailers such as David Jones and Big W. The space would suite a variety of businesses in particular Allied Health, Personal and Professional Service tenants. The rental is affordable and offers excellent signage opportunities to the main road. If you would like additional information or to arrange an inspection please do not hesitate to contact Emily Pendleton on 0402 435 446. Ray White Commercial Northern Corridor Group are pleased to present 506m2 land with two buildings available on property Approx. 180m2 of building consisting of the main house fitted out with 3 bedrooms which could easily be used as medical/consulting suites, 1 bathroom, 1 separate toilet, full kitchen, laundry and a living area which could be an ideal set up for a reception/waiting area, covered entry verandah, covered private back deck, grassed courtyard area and two small storage sheds Additionally, there is a fully self contained granny flat which could be used for residential or commercial purposes. Currently has a tenant on a month to month lease paying $270.00 P/W There are easily 5 6 car parks available + ample street car parking The property backs onto the main street of Palmwoods in a prime position for clientele in the Sunshine Coast Hinterland region Ample signage opportunities. As there is no body corporate and the building is freestanding, it offers plenty of options on the building as well as garden with street frontage A stone's throw from the newly constructed town square on Little Main Street, central to the heart of town with it's cafes, dining and iconic Ric's Garage Diner Hill Street is home to a number of residences and commercial business alike, primarily in the Allied Health and Professional Service industries. This property represents an outstanding opportunity to accommodate your business within a freestanding building. With ample signage options and a great parcel of land to call your own, the opportunities with this property are endless. Presenting options to combine both commercial and residential uses, you could lease the main house for office/consulting rooms and utilise the Granny Flat if you needed to reside onsite. There is an opportunity to live work in the same building to cut down your costs which is hard to find and highly sought after on the Sunshine Coast. Palmwoods is only 15 mins to Maroochydore and still a very convenient location to service clientele all over the Sunshine Coast Hinterland regions. If this sounds like something you might be interested in, please contact our exclusive marketing agent Emily Pendleton for further information! Emily Pendleton of Ray White Commercial Northern Corridor Group is pleased to present 6/128 Golf Links Road, Buderim to the market. This opportunity represents the following; 62m2 space Suitable for medical, allied health, professional personal service tenants Located in high profile, sought after location adjacent to Mountain Creek Woolworths Shopping Complex Positioned amongst other well established businesses including Mountain Creek Medical Centre, Physio, Bloom Hearing, Foundation Dental Services, Chiropractor, QML Pathology, One Floor Skin Care, Mountain Creek Realty Pam Court Realty. The suite is carpeted and air conditioned and has a small kitchenette The complex has excellent onsite car parks The vendor is extremely motivated to find the right tenant and incentives are available Centrally located close to the Sunshine Coast Motorway, Bruce Highway, Nicklin Way the Sunshine Coast University is only around the corner. Please contact Emily Pendleton to discuss further or to arrange an inspection. This is a one of a kind commercial space in Maroochydore. Located within an architecturally designed, ultra modern residential development, this space offers high visibility and a unique style. + 79sq m (approx) unique, highly visible space + Suit retail / restaurant / cafe or high end medical or office uses + Highly visible location, fronting Maroochydore Road + Grease trap access, outdoor dining options + On site parking + Incentives available Call or email Louisa Blennerhassett to inspect the property or find out about other suitable options. Our team is strategically located in two offices across the Sunshine Coast region and is ready to handle your commercial, industrial and retail property needs today so call or email now. 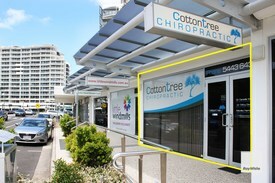 Medical/office Space Caloundra Cbd $12,500/pa + GST all incl..
Pelican Waters Medical & Professional Centre FROM $400/SQM + Ou..